Truffled beef carpaccio from Federal Grill. 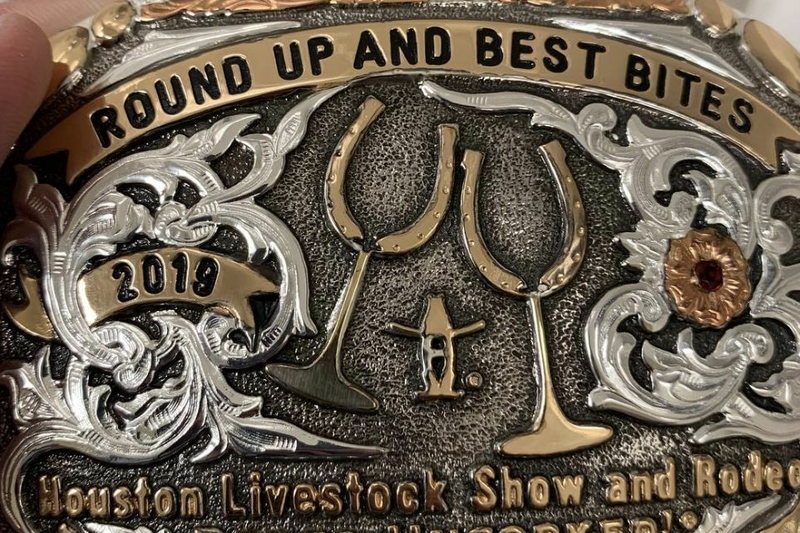 As far as eating and drinking events go, there is nothing quite like the Houston Livestock Show and Rodeo’s Roundup and Best Bites Competition. With 102 competitors this year and more approximately 450 wines on show, it’s an extravaganza of grand proportions and one helluva great time, a reason why it sells out completely every year. 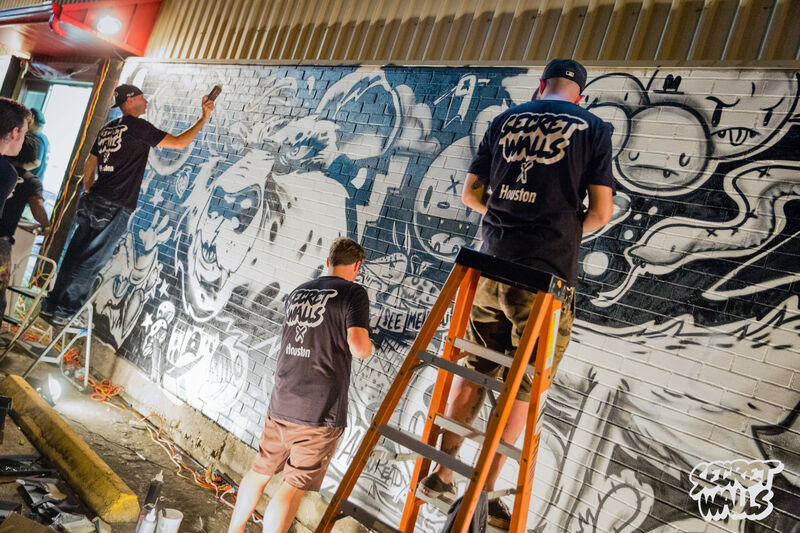 At events like these, it’s important to come early and have a general game plan. 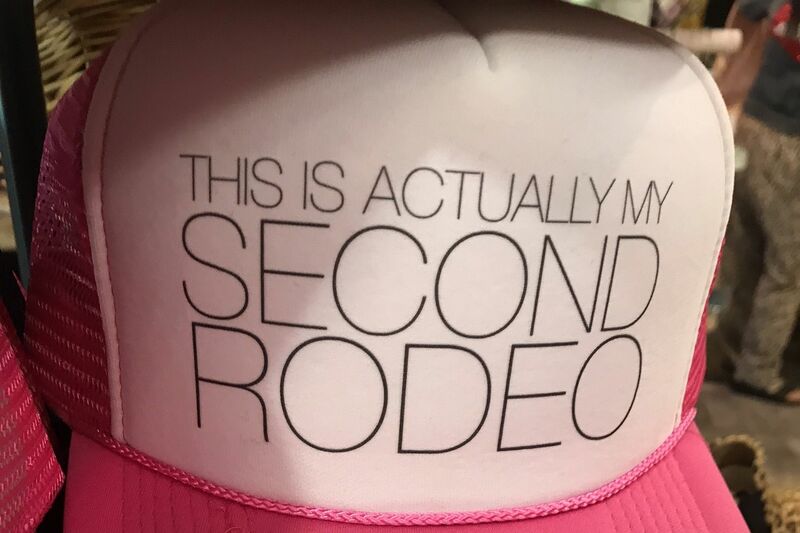 Mine was easy: I started at the back and tried as much as I could before the lines got crazy, stopping often to get a pour of some of the many wines on offer. 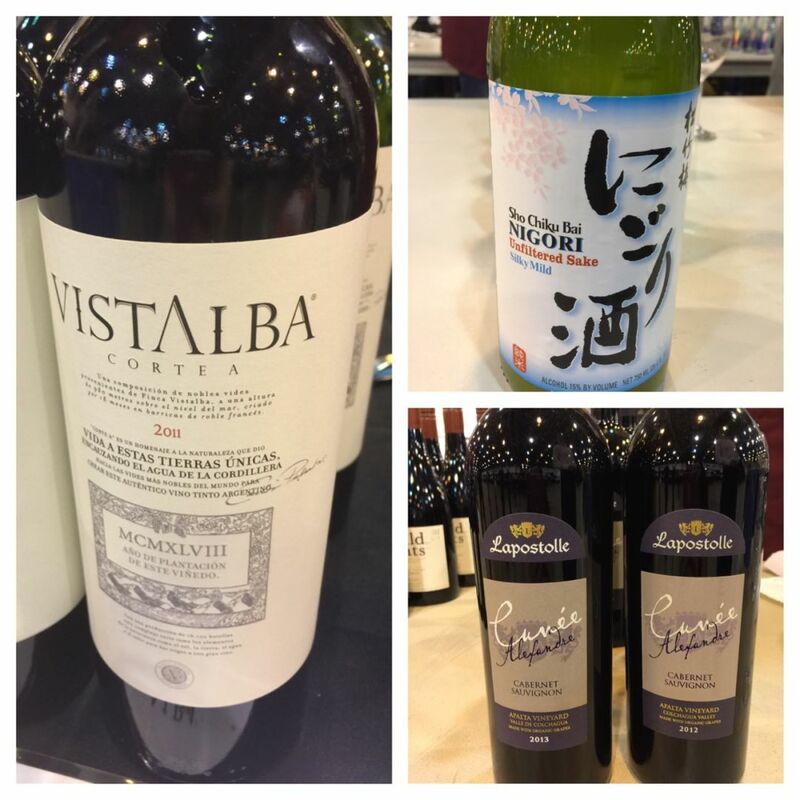 A sampling of the wines and sakes on offer. 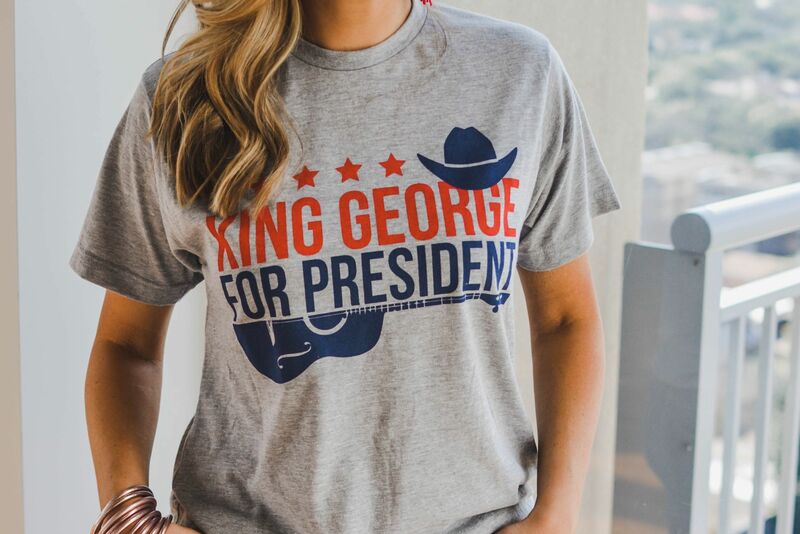 One of the coolest things about this event is the wide variety of international labels available. During my three-hour binge, I sampled Ferrari-Carano sauvignon blanc from Healdsburg, Ca. ; Lapostolle Cuvée Alexandre cabernet sauvignon from the Chilean Colchagua Valley; Vistalba Corte, a malbec from Mendoza, Argentina; as well as wines from Spain, Portugal, Napa Valley and Texas. This year, I even got to try several Japanese sakes, including a cloudy, fragrant Sho Chiku Bai Nigori unfiltered sake that I like so much I plan to buy a bottle for my liquor cabinet. Jason Gould and his brisket taco. But we were judging the food. The flavors of the best bites usually distinguish themselves easily from the pack. 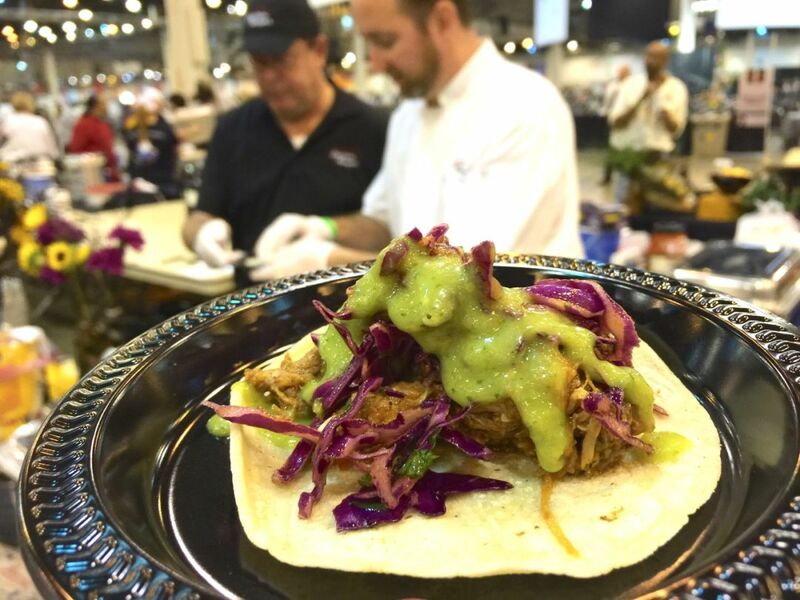 Right out of the ballpark, chef Jason Gould of Cyclone Anaya's Mexican Restaurant impressed with a gourmet chipotle-braised brisket taco topped with spicy red cabbage slaw and salsa verde. He says that the taco is set to debut on his upcoming spring menu, and it’s definitely something worth visiting his restaurant to taste. 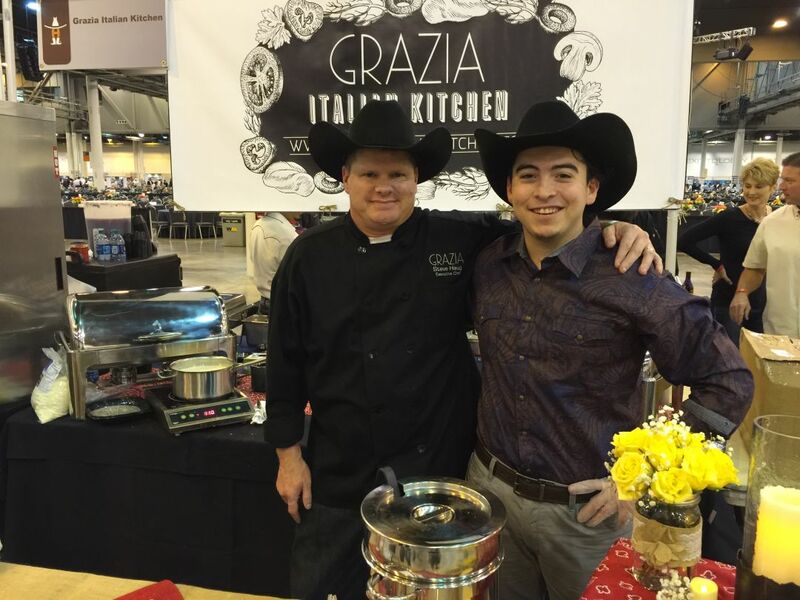 Grazia Italian Kitchen chef Steve Haug. 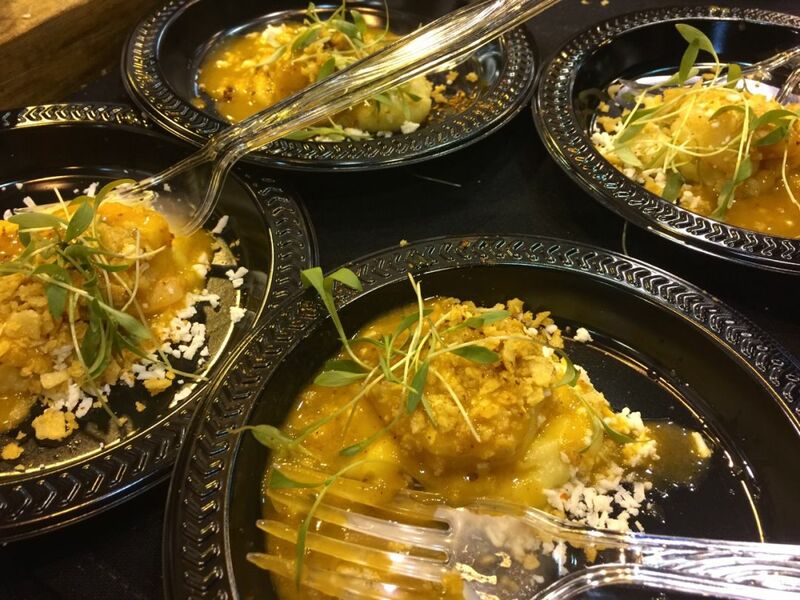 Royal Sonesta's Peter Laufer presents his gourmet dish. 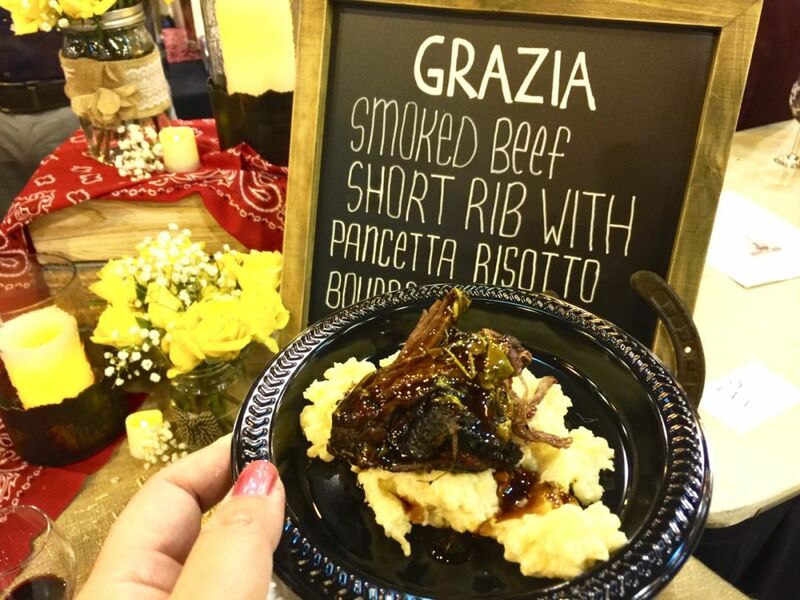 Also remarkable was chef Steve Haug’s smoked short rib with pancetta risotto and bourbon molasses glaze, representing Grazia Italian Kitchen in Pearland. Haug served as executive chef for Del Frisco’s Double Eagle Steakhouse for 18 years before leaving that post and joining Grazia last year. His fork-tender smoked meat and creamy risotto combination was easily one of the night’s standouts, earning it not just one but three prizes for the night: Grand Champion entree, Second Place People’s Choice, and Rookie Award. Meat-based dishes are always popular with the crowd and I sampled several by the night’s end. Roost chef Kevin Naderi’s mole-braised short rib over corn slaw was particularly memorable. 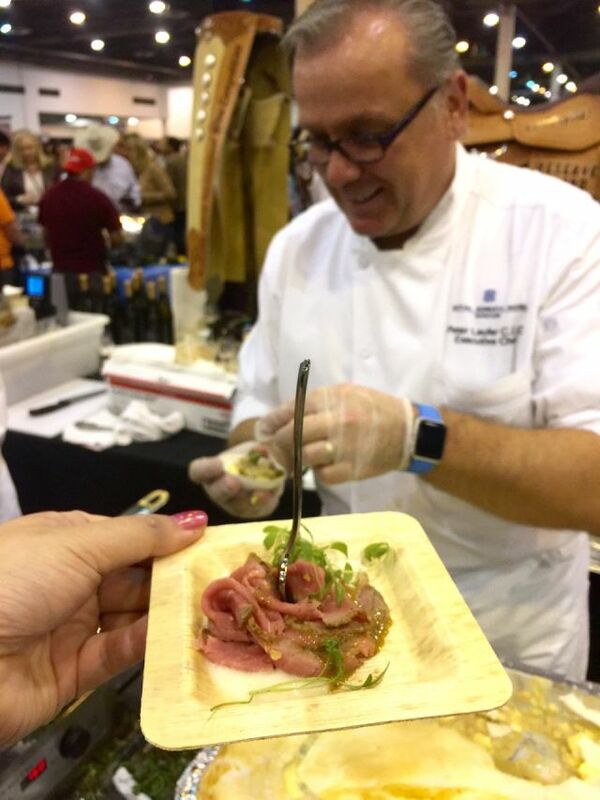 So was Taste of Texas’ beef tenderloin with mac and cheese—it took home third place in the entrée category. Not surprisingly, Pappas Bros. Steakhouse also represented with beef, as did chef Peter Laufer of the Royal Sonesta, who, for me, had one of the most truly gourmet offerings of the night: thinly shaved 44 Farms strip loin served over a fine purée of Texas blue cheese potatoes. Not one to do anything halfway, he complemented his entrée with a delicious bite of banana pudding. I enjoyed at least three samplings of pork belly, including one from Antoine Ware of Harold’s, who was so head-down concentrated on serving that he barely had time to look up when I approached his table. Kuu Restaurant’s Adison Lee also did pork belly, this one glazed with sweet teriyaki then served in a sauce tinged with what seemed like vanilla. 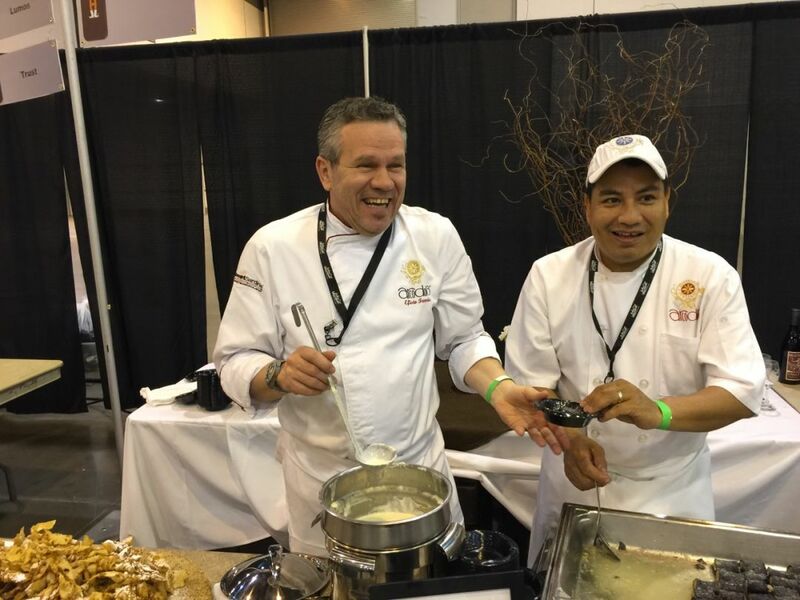 The mind-boggling assortment of tastings included a boatload of truffles, such as the Nero Su Nero (pasta rolls stuffed with Black Angus and ricotto in a creamy black truffle sauce) by Efisio Farris of Arcodoro. 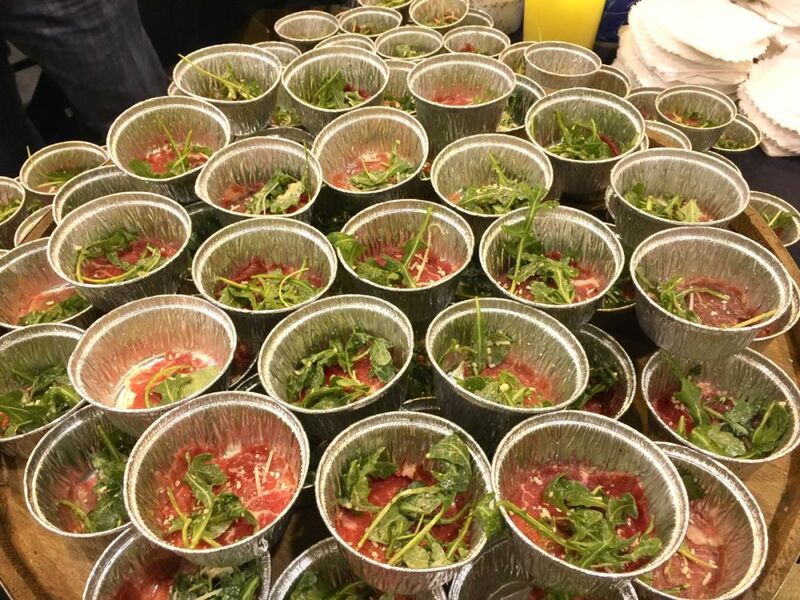 Truffled beef carpaccio by Federal Grill, served in a ting cup with a sprinkling of arugula placed second in the trailblazing appetizer award. As far as soups and stews went, Colin Shine at Frank’s Americana Revival did a delicious chili, which he’d made with his own spice blend. Topped with frito chips and onions, it was hearty and bursting with flavor. The folks over at the Union Kitchen presented a very yummy seafood gumbo chock-full of seafood bits. Over at The Palm, attendees received little cups of toothsome lobster bisque. I missed out on Max’s Wine Dive’s fried oysters over wonton crisps, which placed first in the trailblazing appetizer category because alas, the line was too long. But I did get to try sister eatery Añejo’s Tex-Mex spicy shrimp, which had a flavor profile lovably reminiscent of enchiladas. 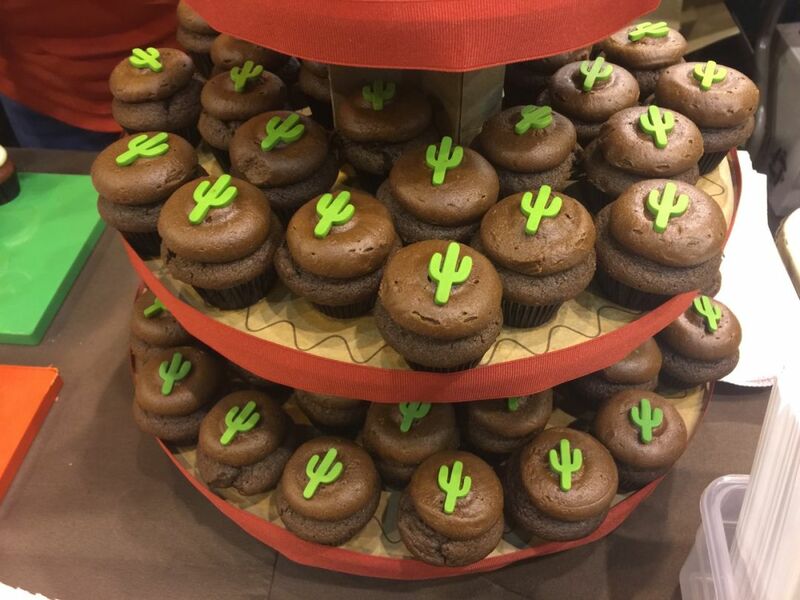 Rodeo-appropriate cupcakes from Sprinkles Houston. And finally, it was time for dessert. Royers Round Top Café’s assortment of pies is always on the money, and it earned them the People’s Choice award for the night. I got my fill of that, and more: Banana cheesecake by Vanessa O’Donnell of Ooh La La Dessert Boutique; red velvet and chocolate cupcakes by Sprinkles Houston; pecan pie from Taste of Texas; delectable cajeta popsicles by Trentino Gelato (which won dessert grand champion); and my personal favorite of the night, Beaver’s deep-fried brownie balls. Served with a scoop of vanilla ice cream it was so amazing that even after all that eating, I found myself going back for seconds. Many of my favorites earned awards but below are the final results. Grazia's stand-out dish was the surprise of the night.